Quintessentially British design and exquisite craftsmanship combine with the vintage-inspired Emmy London collection. Styled in shining 9ct white gold, this sparkling 1/10 carat diamond ring features a distinctive and unique open feather design set with baguette and round cut diamonds, and a secret diamond in the band. Featuring I1 certified diamonds and an independent GSI certificate. 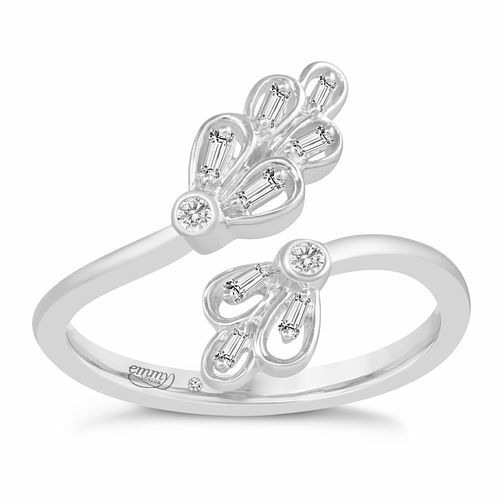 Emmy London 9ct White Gold 1/10ct Open Diamond Ring is rated 4.0 out of 5 by 1.